Play if… a good and challenging investigation into the mind of a serial killer sparks your interest. Avoid if… you can’t watch an episode of “Criminal Minds” without all the lights in your house on. Description of the room: Picture the beginning of the first SAW movie (handcuffed to the walk, white bathroom tile, and some blood spatters on the walls, etc.) Yeah, that. But with some chairs. Understanding of the Mission: You have 60 minutes before your killer comes back and you end up like the last of his/her victims to make your way out of his/her lair to freedom. Our Suggested Party Size: This room is rated 2-8; we had 6 and think that was perfect (if you all have some experience). 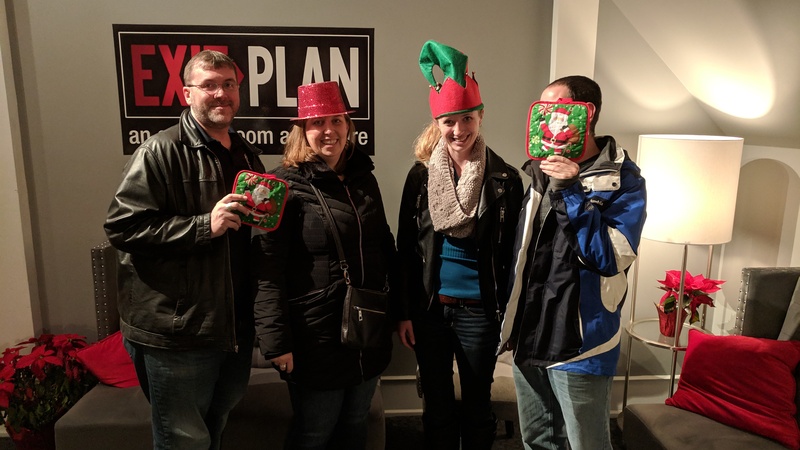 Team Disturbed Friends (Steph, Jason, Steph, Heather and Mike) took one of the top spots on the leaderboard! Play if… you’re a jock… or a princess… or a brain… or a criminal… or a basket-case… or were a goody-goody in high school who never had to sit in detention and now want to know what you missed. Avoid if… sitting in detention will bring back horrific high school memories. Description (from the company website): Everyone gets in trouble at some point. What you do when you find yourself locked in a classroom with the other unruly students is up to you. Here’s the thing though, in an hour the monitor will return and chances are you will Never. Get. Out. Whether you are a brain, an athlete, a basketcase, a princess or a criminal, it is up to you to start a ruckus and escape detention. Description of the room: A classroom from the 1980s, complete with teacher’s desk, overhead projector, terrarium, and a chalkboard. 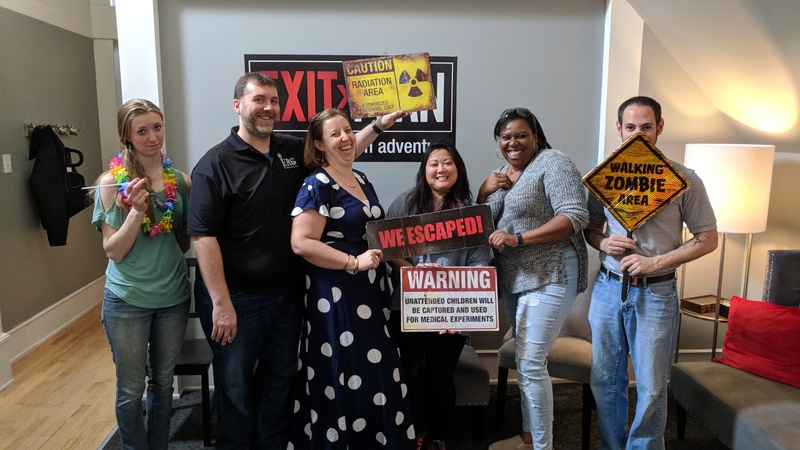 Understanding of the Mission: Solve the puzzles in the room and find out how to escape detention before the monitor returns in 60 minutes, or stay trapped in Detention for eternity. Our Suggested Party Size: 4 was good, but can easily accommodate 6-10. We would recommend 6 if the group has done rooms before, and the full 10 if mostly ERVs (Escape Room Virgins) or novices/noobs/newbies. Worth the time and money? Yes, but get in there before it’s retired in early April. 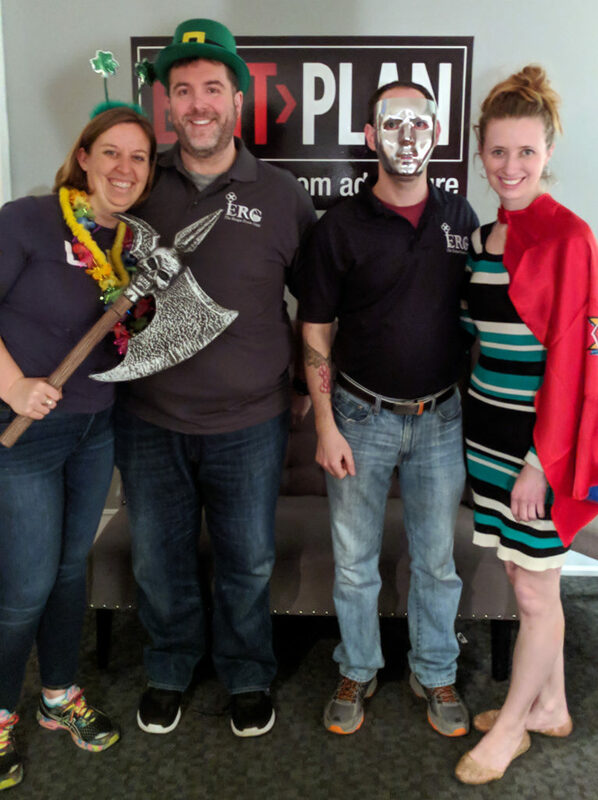 Check out our interview with Bruce, Kathryn (the owners) and Dan (manager) from EXIT Plan in Leesburg, VA, who told us about their location, current rooms, upcoming new room, and their philosophy in room design and what they keep in mind to give escapers a great experience. 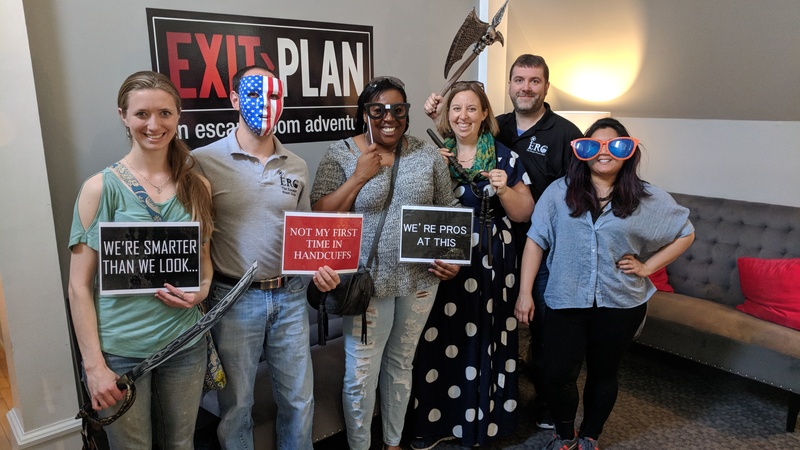 The ERG just completed their Escape Detention room, which is slated to be retired on April 6, so if you want to be able to do this room, book yourselves a reservation ASAP. Stay tuned here for our review of Escape Detention. Check out and follow our social media channels below to be notified when new postings and interviews are published. Have you been to EXIT Plan? What was your experience like? You can add your comments to this post.